The wild boar has had a checkered history in the British countryside. This once native species was hunted out of existence in the 13th Century and despite a number of reintroductions finally disappeared from our fauna in the 17th Century. And for the next 300 years the sound of boar, the onomatopoeia collective term for boar is , sound, lay silent across the landscape. Until around 20 years ago, when wild boar once again roamed some areas of the British countryside. But how did they get there? To find out more, in this Living World, Lionel Kelleway heads to the Forest of Dean in Gloucestershire on the trail of this shy and evasive animal, which although now firmly re-established in the British landscape is surprisingly hard to track down. Lionel enlists the help of boar expert, Dr Martin Goulding and after a day in the woods, the result was a surprise to both of them. In the decade since the programme was first broadcast, the situation of wild boar has of course changed. 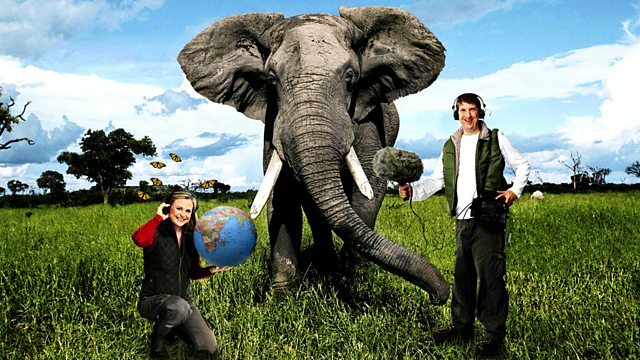 Wildlife presenter Lindsey Chapman revisits this Living World from 2007 before bringing the story up to date for today's audience.